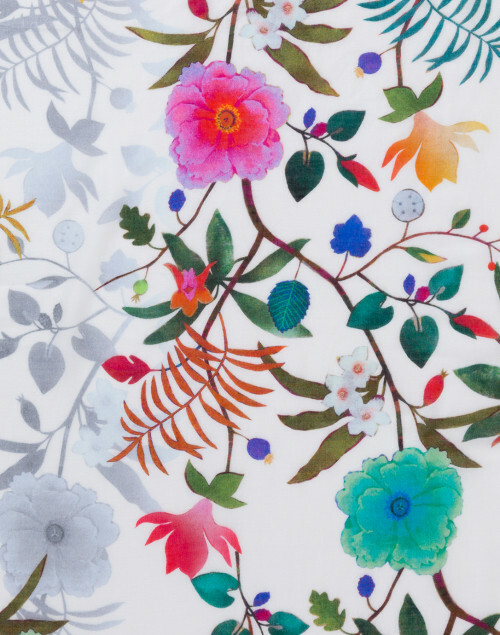 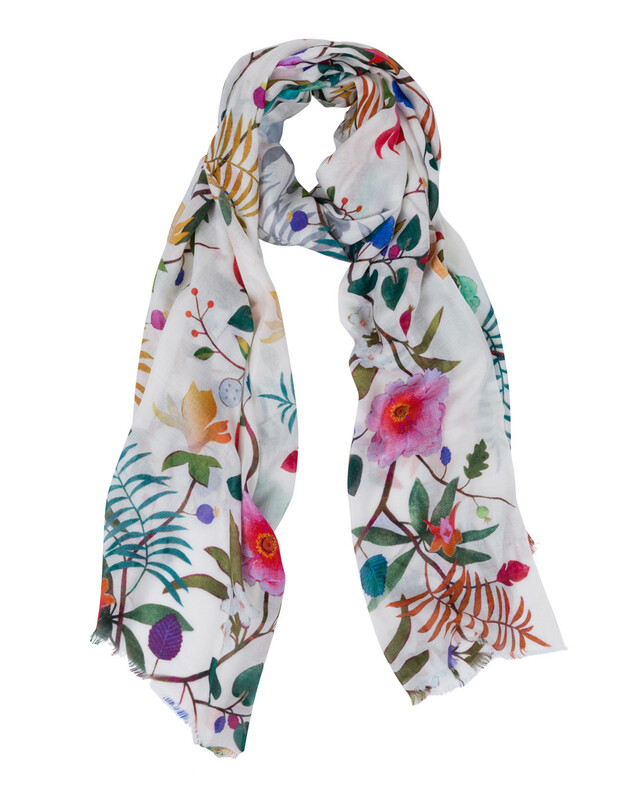 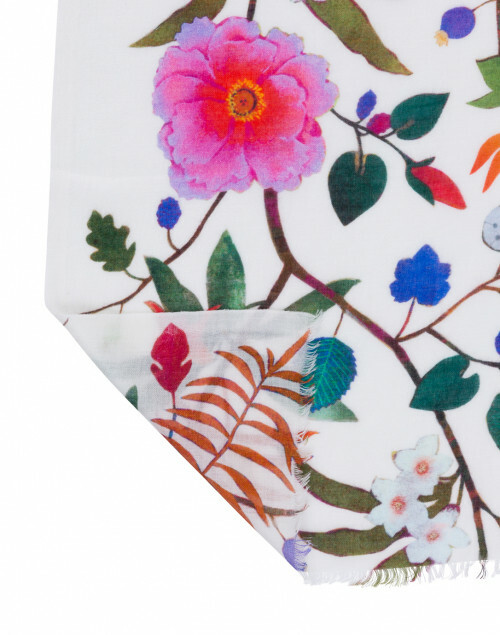 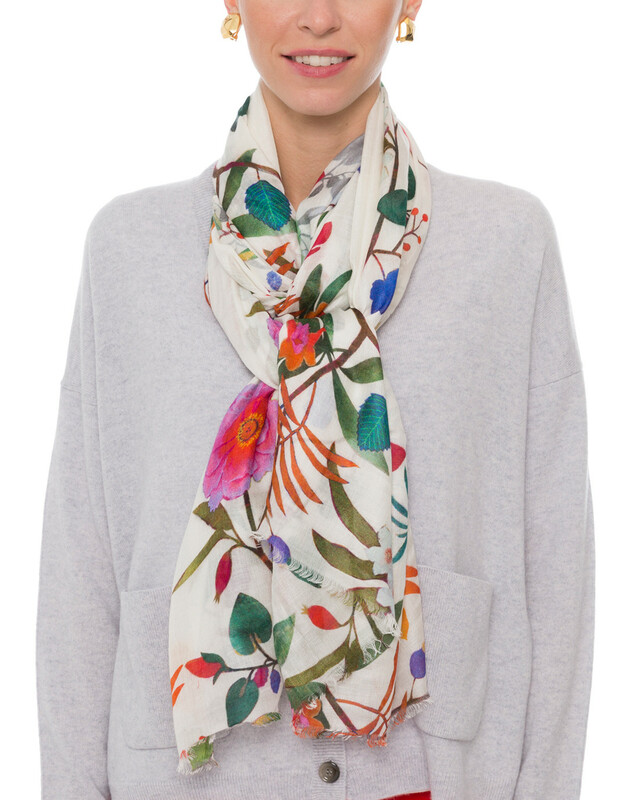 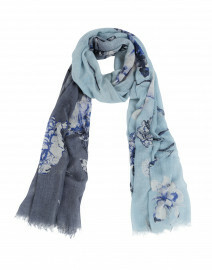 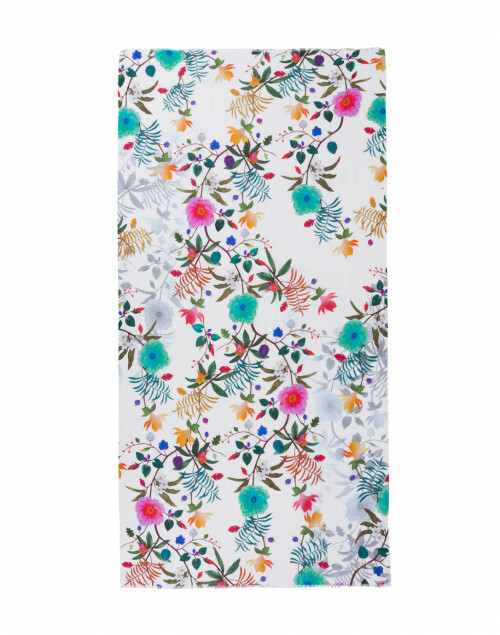 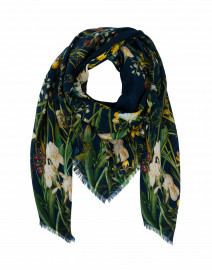 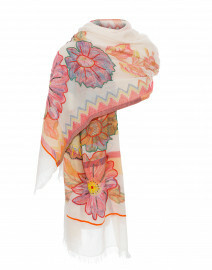 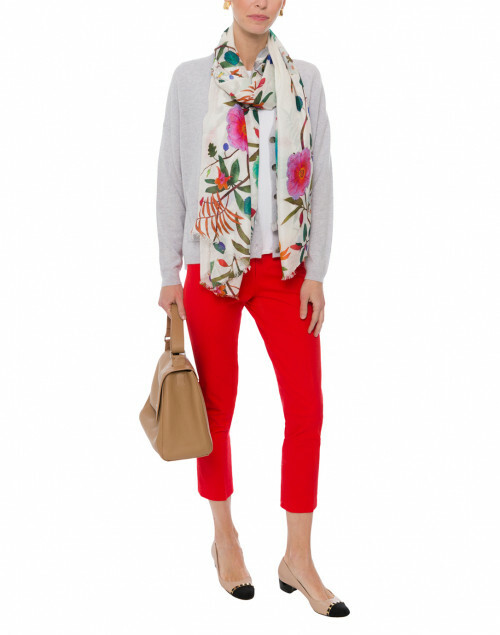 This melody multicolored floral printed cotton scarf by Tilo will add a touch of spring to any outfit. 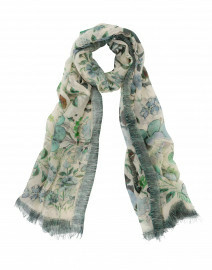 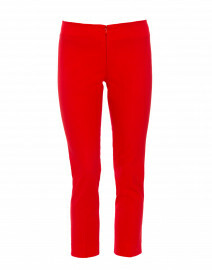 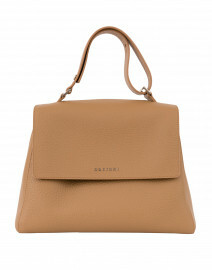 It is made from a soft modal and cotton blend and features an eyelash trim around the edges. 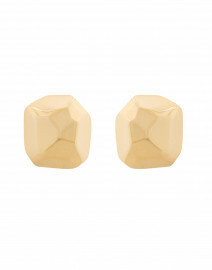 Pair it with complimentary colors for a stylish weekend look.